EPM – the end of facials? 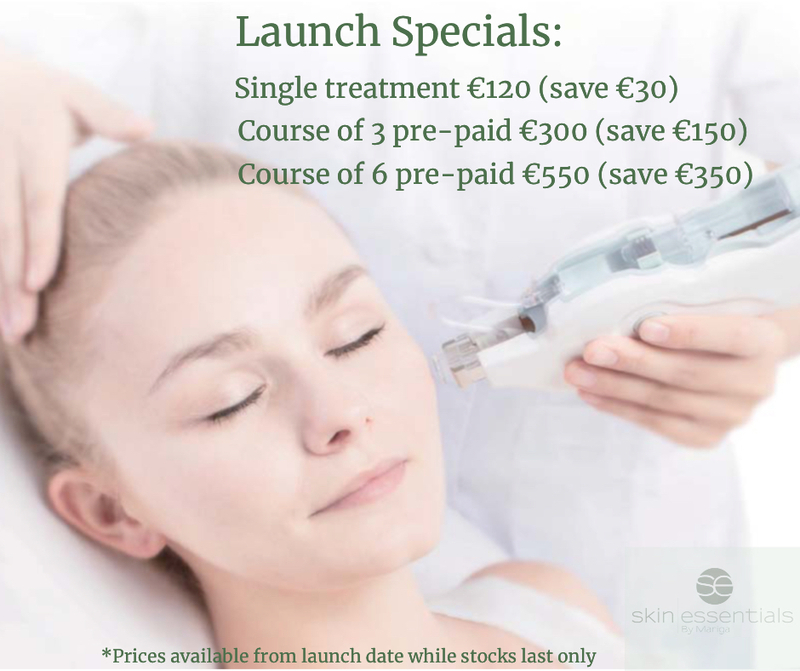 The latest treatment launch from Skin Essentials by Mariga is EPM – a combination skin therapy designed to allow skin-boosting ingredients to cross the stratum corner (skin’s protective outer layer) in a minimally invasive way to get to the lower layers where they can hydrate, revitalise and plump up the skin layers from the inside out. Giving you incredibly hydrated, plump, dewy results that last. I am so excited to introduce this brand new technology to Ireland, and I’m sure you are all going to love it as much as I do! The techie bit: Combining electroporation and microchip transdermal technology with cosmetic microneedling techniques, this is an advanced type of mesotherapy. How is the EPM facial treatment different from traditional mesotherapy? Traditional mesotherapy uses needles to deliver skin-enhancing ingredients to the lower layers of the skin. In this new, patented treatment the SmartMed microchip delivers the same results but in a less invasive way. 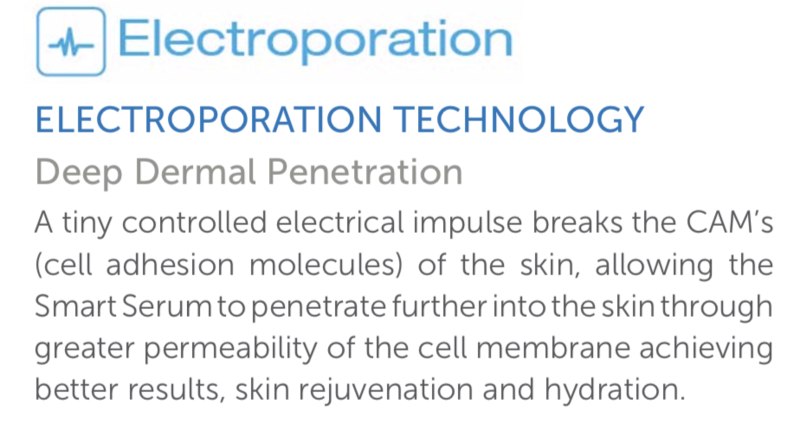 Electroporation utilises short bursts of electrical current to create temporary pathways into the skin cell membrane, increasing permeability and absorption potential. At the same time the nano needles deliver high grade Hyaluronic Acid and Vitamin C to be used by the skin as a revitalising and hydration medium, getting these skin-loving ingredients deep down where they can accelerate and enhance metabolic processes. the dermal reserve of the skin (where hydrating factors are found) is boosted resulting in visible radiance at the surface. As a secondary effect, the microneedling element stimulates fibroblasts to produce collagen fibres at a higher rate, giving you long term anti-ageing benefits as well as the fast surface results gained from the EPM aspect of the treatment. If all this sounds like it is only for the brave, don’t worry! This treatment is quite comfortable to have, easier by far than traditional microneedling, as it does not go as deep. You will be pink afterwards and pretty much back to normal by the next day. The depth, intensity and speed of the application are all adjustable to each skin type and level of sensitivity. I’m really excited about this treatment as it gives the results that you love from a hydrating facial but in a much deeper way, meaning the results last a lot longer even from a single session. Imagine that soft, dewy feeling you have straight after your facial, but every day! This exciting new technology even has me wondering if facials are going to become a thing of the past!! Special Offers are limited to the first 48 bookings! Sign up here to be the first to access our amazing introductory specials! This entry was posted in Uncategorized on 09/04/2019 by mariga.